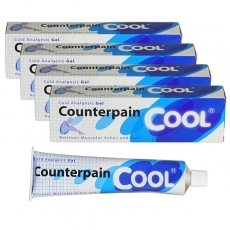 Apply Counterpain Cool analgesic gel for relief of minor aches and pains of muscles associated with strains, sprains, bruises and sport injuries. Easy to apply. For external use only. Do not use with heating pads or heating devices.